BOOOM Electrolyte Sports Drink is the 1st sportsdrink in Europe using the natural “STEVIA” as a sweetner. Not only is this innovative and good for your health but underlines it with this its natural character. 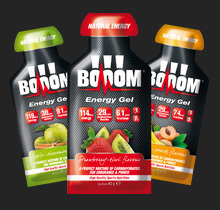 BOOOM energy gels are a perfect source of natural energy for every endurance athlete and by refilling the levels of both glycogen and electrolytes it allows you to ask more from your muscles. BOOOM energy bars are developed in close collaboration with top athletes and contains diverse nutrients essential during sport. 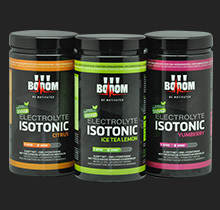 BOOOM Electrolyte Sports Drink is the 1st sports drink in Europe using the natural “STEVIA” as a sweetner. Not only is this innovative and good for your health but underlines it with this its natural character. 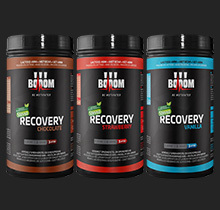 By using BOOOM recovery drink immediately after the activity you will fill up up the glycogen level in your muscles and thanks to the presence of the high quality WEY protein your muscles will recover much quicker. 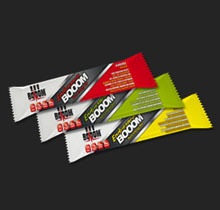 BOOOM Energy gels are not only the ideal source of natural fuel for your body during your activity, they are also very tasteful and easy to digest because they are flavoured with real fruits. BOOOM energy bars are developed in close collaboration with top athletes and contain divers nutrients essential during sport. BOOOM products are developed in close collaboration with professional athletes and have been available for only a selected group of professionals for several years.